Shaped for maximum contact on pipes, round fittings, and hex nuts, the deep round jaws encircle the workpiece with sharp teeth set at opposing angles to each other. 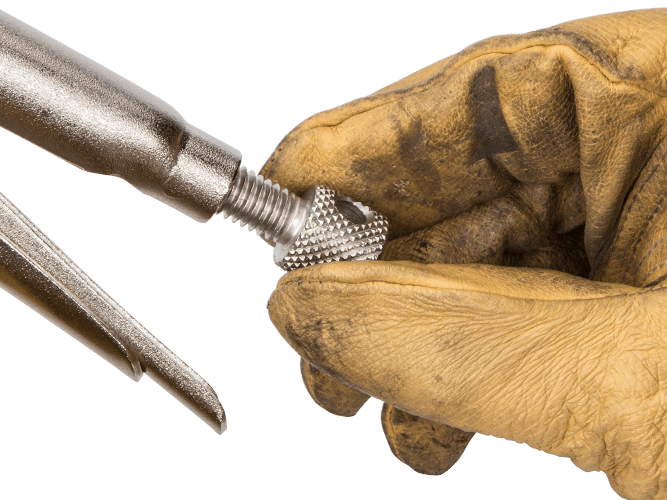 As the pivoting jaw closes, it shifts forward, indexing into position relative to the fixed jaw and setting the teeth into a firm directional bite that won’t budge—similar to the way the floating and fixed jaws of a pipe wrench work together. 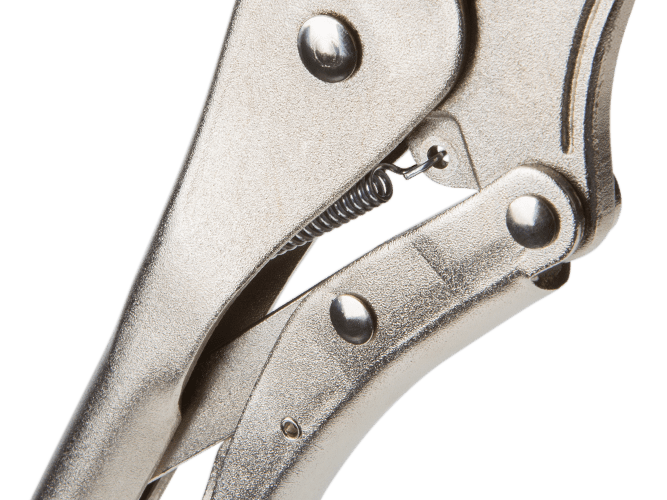 This action compounds the leverage of the pliers as they close, generating extremely high clamping pressure as they are being locked. 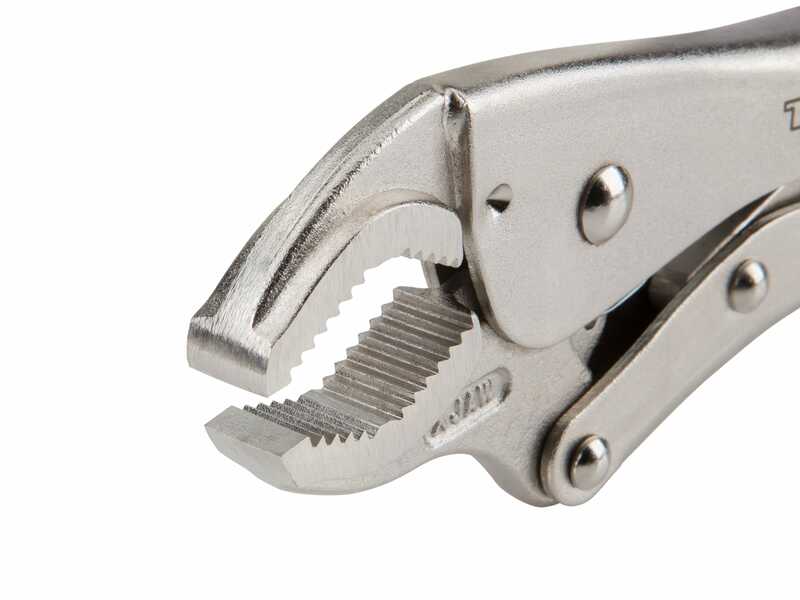 As the pivoting jaw closes, it shifts forward, indexing into position relative to the fixed jaw and setting the teeth into a firm directional bite that won’t budge—similar to the way the floating and fixed jaws of a pipe wrench work together. 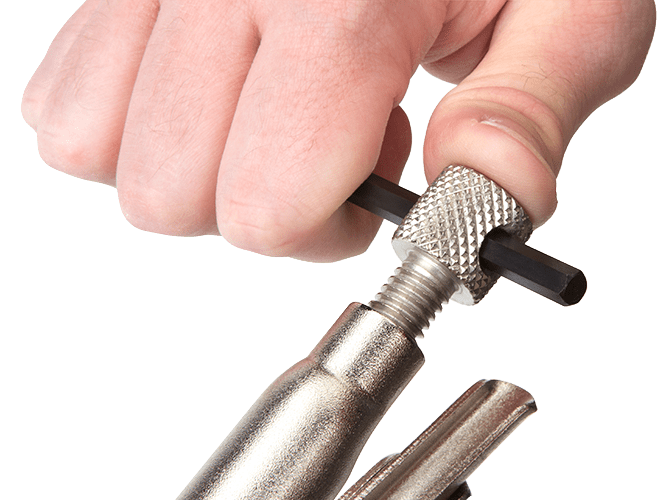 This action compounds the leverage of the pliers as they close, generating extremely high clamping pressure as they’re being locked. D. Maximum Adjusted Length 8.4 in. E. Jaw Capacity (Round) 1 in. F. Jaw Width 0.46 in. 2-pc. 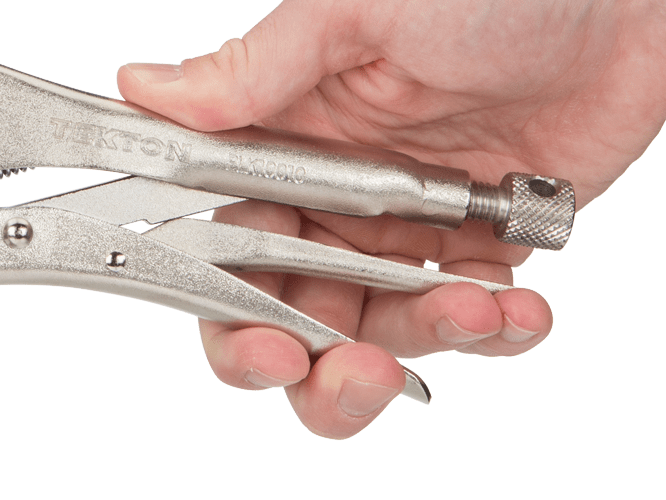 indexing round jaw locking pliers: 7, 10 in.